Webkinz Dragons: Webkinz Stormy Dragon Plush Toy with Sealed Adoption Code. Gosh this makes me feel such and old fuddy duddy. 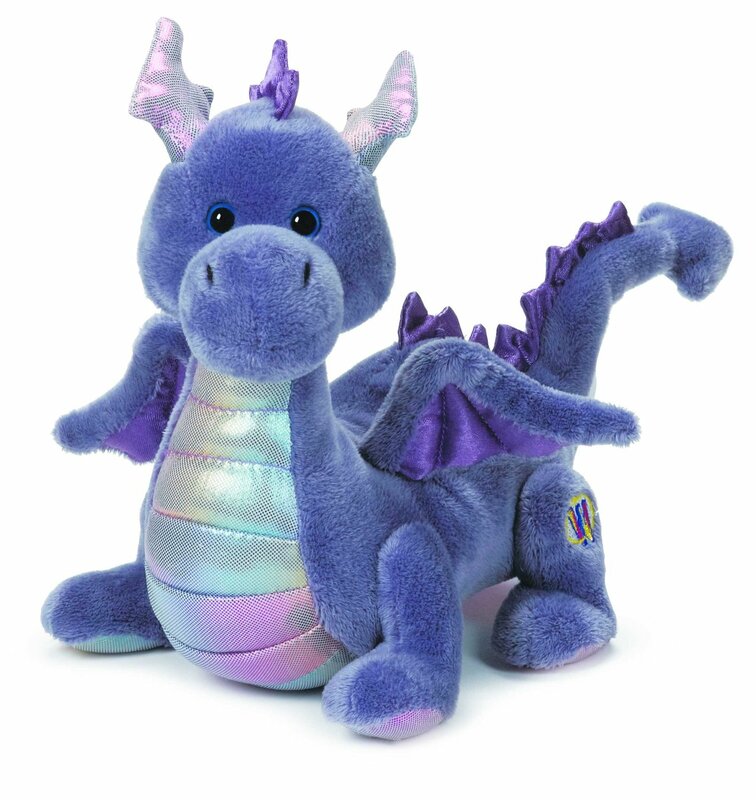 This is a dragon from the wonderful world of Webkinz where you can collect and cuddle many different dragons. It all gets a bit complicated from now on so I’ll let the Webkinz people do the talking here. Suffice to say a truly unique way of owning a cuddly dragon, the one I’ve featured here being the Webkinz Stormy Dragon Plush Toy with Sealed Adoption Code. Webkinz pets are lovable plush pets that each come with a unique Secret Code. With it; you enter Webkinz World where you care for your virtual pet; answer trivia; earn KinzCash; and play the best kids games on the net! So what makes them special? With all Webkinz inside each unopened tag is a unique code. This code can be used on the Official Webkinz Website where you can adopt your Webkinz. What’s so good about that? Even though the plush toys may look the same; each code even with the same species means that the character adopted may have a totally different personality in Webkinz world! What else is there on the website? Today’s Activities – The place to find fun daily and hourly activities. It changes every day; so kids learn to keep a sharp eye on it! Giveaways- Wacky’s Bingoz and other once-a-day events let kids earn more treats and KinzCash There’s also hourly events; designed around the after-school and after-homework hours My Room. Every pet gets their own room in Webkinz World. Kids can decorate each room with colourful and fun furnishings from the W Shop. Earn more Kinzcash by playing the various games to add on more rooms and yards; so pets can play outdoors. Stoves and fridges work; so meals can be cooked and stored–even the plumbing works! Kids can set their imaginations free; and create crazy rooms for their favourite pets! Webkinz Stormy Dragon Plush Toy with Sealed Adoption Code. Webkinz are lovable plush pets that each come with a Secret Code. With it; you enter Webkinz World to care for your virtual pet and more!